Generous gifts from the Oklahoma Association of Electric Cooperatives (OAEC) and The Boeing Company will facilitate the expansion of Oklahoma STEM education programs built around OETA’s Emmy award-winning “What’s the Deal?” digital series for students in grades 4-8. Daphne Dowdy, OETA Foundation President and CEO, announced that the gifts will support “What’s the Deal?” season three, featuring eight fun and engaging lessons on science, technology, engineering and math concepts associated with air and space. The funds will also be used to develop free curriculum guides for teachers and provide classrooms with free experiment kits filled with components to allow each student to conduct hands-on experiments so they may better understand “What’s the Deal?” scientific principles. Hosted by series creator, Jessi Crino, “What’s the Deal?” explores the math and science that makes everyday things work. Teachers and families can find episodes and free curriculum guides for Seasons One and Two, created in partnership with the Oklahoma Department of Education here. including the geology that created Black Mesa, how wind turbines generate electricity, and how the Archimedes Principle keeps heavy cargo ships and barges afloat on Oklahoma rivers. “What’s the Deal?” Season Three, “Air and Space,” will be available in the 2018-19 academic year and will focus on the science of air and space travel. Students will learn about the principles of force, why our ears pop on planes, and how electromagnetic waves determine distance, direction and speed. 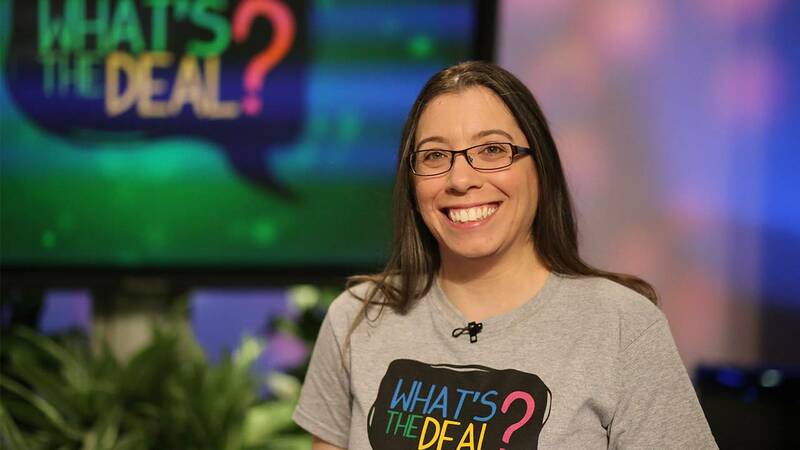 OETA Foundation continues to raise funds in support of “What’s the Deal?” and its free resources for teachers, students and parents. The Foundation is seeking support for the fourth season of “What’s the Deal?” as well as additional “Air and Space” and “Oklahoma Road Show” experiment kits. For more information about supporting this exciting STEM initiative for Oklahoma fourth through eighth grade students, please contact Lisa Ondak at (405) 841-9288.